Grab your gal pals and try out the newest drink deals, happy hours and more! School’s out and, mamas, we already need a drink! We’re rounding up our favourite locations this month where you can head out with your gal pals and enjoy a few kid-free hours. There are a couple of brand-new spots on the list for you to check out, including some outdoor spaces where you and the ladies can enjoy some much-needed alfresco drinking. Responsibly, of course (wink wink). Keep your eye out for this new spot opening up on Gough Street at the end of July! It will be serving Middle Eastern fare and, more importantly, signature drinks including the Bedu Sour and Tamatine. Launched by Uma Nota’s Alex and Laura, we can’t wait to try them all out for ourselves (and stay tuned for our review in August!). Cocktails will run between $90 and $100, and mocktails will be $30 to $70. Opening Friday, 6 July, Tenkei is HK’s newest LKF spot with an outdoor area that has “enjoy me for summer” written all over it! The alfresco spot has two sections – a Bamboo Garden and a Sakura Garden, where you can shoot the breeze while enjoying Japanese-inspired cocktails, craft beer (imported from Japanese brewery, Hitachino), a Tenkei house brew and a range of sake, whisky and house pours. If your group has fewer than eight people, there’s no service charge! We can’t wait to try out the 47 Ronin ($148), Breakfast at Kiffany’s ($128), Me Love Oolong Time ($128) and the Shizuka ($118). Did someone say free flow? (Our two favourite words!) Tipsy is offering a cheeky free-flow package on red, white and sparkling wine from 12pm to 3pm daily ($138), but if day drinking isn’t your thing (you might want to give it a try! ), head to its happy hour from 5pm to 8pm and enjoy two-for-one deals on house wines and beer! One of our favourite chefs, Chef Noom, continues to serve up tasty Thai goodness, but what gets us most excited about Soul Food is that it is now offering $28 beer slushies for the month, every day from 6pm to 8pm! Cheers to that! If you’re a fan of Foxglove, you’ll want to take a peek at its “speakeasy within a speakeasy”, Frank’s Library. Tucked behind a hidden door and curtain, it’s offering “Travel Diary Cocktails” made from exclusive whisky and cognac. Check out the Barrel Aged Vieux Carre (made with H by Hine VSOP, bulleit rye, antica formula, Cocchi Barolo Chinato, angostura bitters and Peychaud’s bitters), and Iryujon (meaning “Illusion” in Japanese), made with Four Fox sake, St. Germain, ginger, yuzu and angostura bitters. Happy Paradise has some happy drink prices, starting at $88 for tasty libations such as HK Lemon Tea (bison vodka, black tea, lemon and sweet soy) and a Chrysanthemum Margarita (blanco tequila, chrysanthemum and Cointreau). And if you can keep your eyes open on a Wednesday night longer than 10:30pm (not easy, right? ), head there for its special 1st Anniversary Party featuring a character comedy performances and musical parody throughout the night. There’ll be local drag performers and DJ FabSabs will spin his tunes to commemorate the festive event! More free flow! Every Monday through Thursday for two hours (between 5:30pm and 8:30pm), guests can sip on $198 free-flow Spritz, Prosecco, wine and beer while they munch on Italian small bites (at no extra cost!) such as Fritto Misto, bruschetta and daily pinwheels. 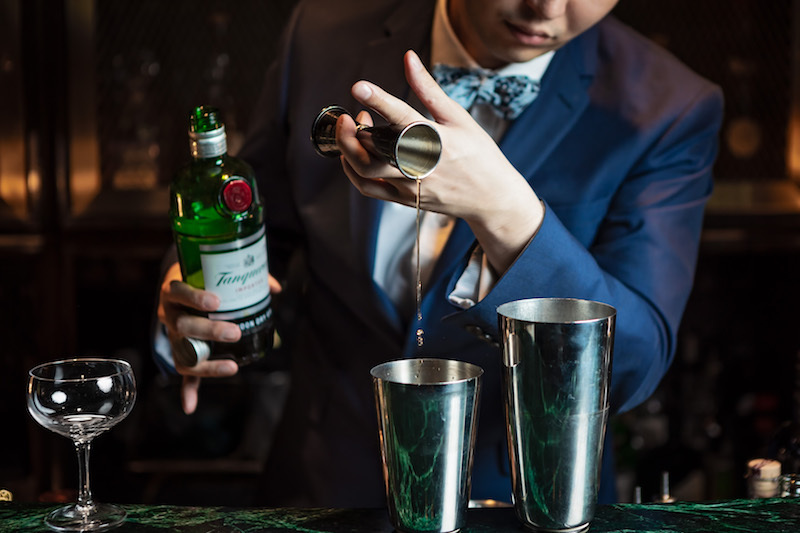 Until 28 July, whisky lovers can enjoy Johnny Walker Black Label Highballs, specially prepared just for a few, hand-picked bars along Knutsford Terrace. This carefully crafted drink combines whisky and sparkling soda water or ginger ale poured over a handcrafted, torched, rosemary with honey, lemon-flavored ice block. Sounds refreshingly good to us! Participating bars include: China Bar, Gulu gulu, El Cid, PORT, Ruggers, S, Shack Bar, Showtime, The Ring, Yehhiu and Zerve.